A new home for innovation and discovery — RandallAnthony Communications Inc. The 38,500 square metres of new space will help define the university’s direction for the future and underscore its reputation as a leading provider of STEAM education in Canada, says Dr. Craig Cooper, dean of the Faculty of Arts & Science. He adds that the new facility will be one of the most advanced in Canada for teaching and research in the sciences and a home for innovation and discovery. For example, large lab clusters might have between 10 and 15 researchers in one lab space along with graduate students, post-doctoral fellows and shared equipment. “That encourages individuals to collaborate more because we know that no single discipline in science can answer all the questions, it has to be done through trans-disciplinary research – and that’s what we’re moving towards,” says Dr. Cooper. Glass walls will allow visitors, including K-12 students attending the university’s outreach programs, to observe science research and teaching laboratories and to interact with scientific displays. Valerie Archibald, U of L’s director of youth outreach, Faculty of Arts & Science, says there is a dedicated outreach space in the new building, allowing more STEAM programming throughout the year. 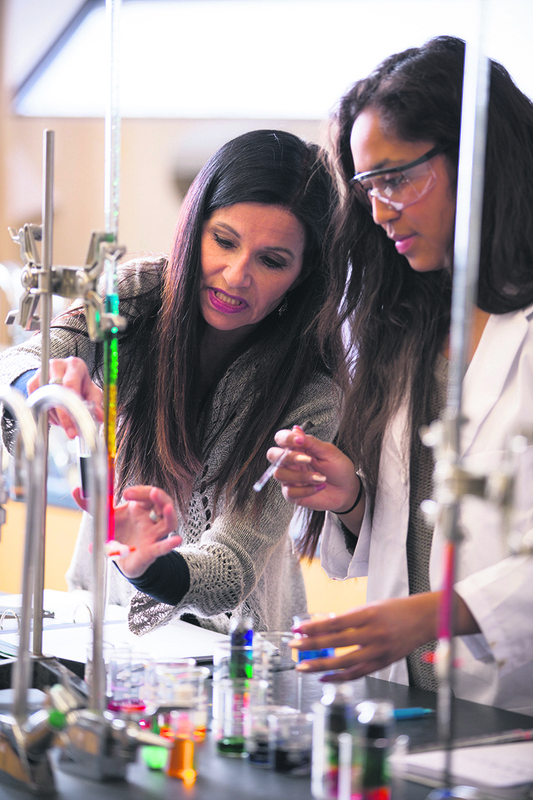 “Young students from all over southern Alberta will be able to come onto campus and participate in various hands-on, interactive learning opportunities that may not be offered to them at their own community school,” she says. Dr. Matthew Letts, professor and associate dean, Faculty of Arts & Science, says the new building will be home to the Agility Innovation Zone, a dedicated, high-profile space where students work with a mentor and creatively apply what they have learned inside and outside the classroom. “It’s a space where students with the proper training can use tools and equipment to work on their ideas and see whether there’s a practical, applied or entrepreneurial outcome for what they have learned at the university,” he adds. When classes begin in the fall, the new facility will greatly enhance opportunities for undergraduate and graduate students alike. A community grand opening is planned for September.